With Naruto Shippuden heading into its final hurrah, I believe this will be my second to last post about the anime. It's certainly been a lot of fun as well as a lot of frustration. At its best Naruto (the series as a whole) is an excellent anime with some really well-rounded characters and great fights, but the filler has diluted so much and Naruto Shippuden is getting worse and worse on that front. I'll be glad when this series is over. Maybe one day I'll pick up the manga and I won't be as frustrated with it. Season sixteen is a thirteen episode filler arc about Kakashi's time in the ANBU Black Ops. As far as filler goes it is definitely one of the better filler arcs. 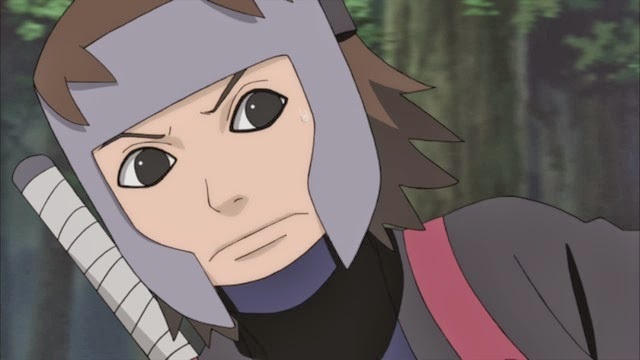 You also get to see a young Yamato in action and hopefully by this point in the series you will not have forgotten about him. He won't get mentioned again for a long time. Season seventeen consists of only ten episodes (362-372), but a lot actually happens in those ten episodes. We all know that Obito has been working for Madara the entire time (even if Madara hasn't actually been alive the entire time) and Obito's goal has been to resurrect the Ten Tails in order to become its Jinchuuriki. Once that is accomplished he can finish Project Tsukuyomi and create a screwed up kind of world peace at last. One where all of the people are essentially brainless zombies. Of course, the Allied Shinobi Forces won't let that happen without a fight. 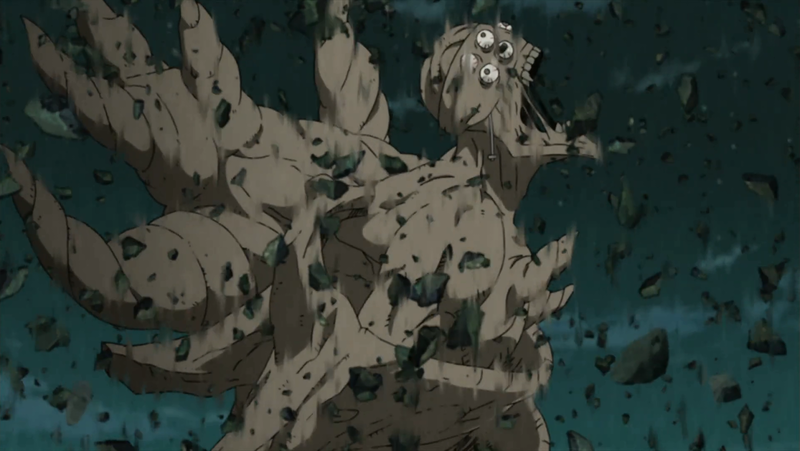 The Ten Tails isn't a pushover, though. 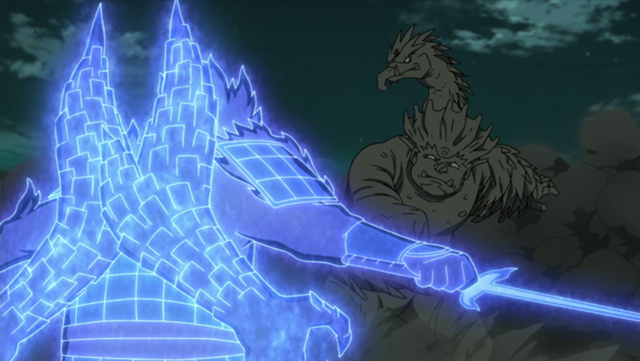 Remember that not only are the reanimated Madara and Obito on the battlefield, but so is the Ten Tails. The first act of the Ten Tails is to kill Neji in what is probably the most important Naruto death since both Itachi and Jiraiya died. Feels will be felt. Things are looking hopeless for Naruto and the Allied Shinobi Forces. However, there is hope, but it is in a very unbelievable form. Sasuke has traveled back to Konoha and has resurrected the previous Four Hokage with help from Orochimaru. He essentially listens to what First Hokage Hashirama has to say about the origins of Konoha and his relationship with the Uchiha and Madara in particular. While a not so subtle way of giving Hashirama and Madara's full backstory to the audience, this is certainly fascinating stuff and one of the reasons why flashbacks within Naruto can be used quite effectively when not reduced to pointless filler. The story of Madara and Hashirama is excellent. From their friendship to their rivalry it is exactly the kind of stuff that Naruto fans watch for. 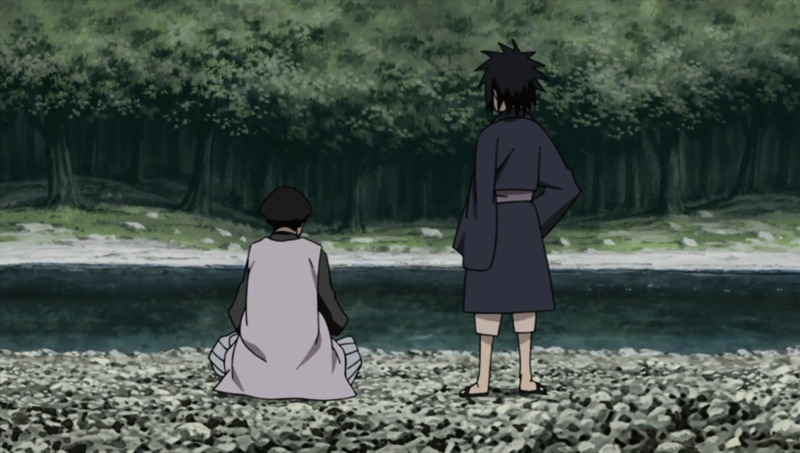 After listening to Hashirama's story, Sasuke decides he is going to save the village from Madara and Obito. He also decides to become the new Hokage of the Leaf Village, if you can believe that. Talk about your change in perspective. So Sasuke, the Four Hokage, and Orochimaru all travel to the sight of the battlefield just as the Ten Tails is about to unleash some horrific doom on the shinobi. Not only are Naruto and Sasuke reunited again as allies, but Naruto also meets his father Minato for the first time in the real world. That's all I've got to say for now, but I'll be back again for what will hopefully the resolution of this anime before too long. It's been fun, but I'm ready for the end. No more filler.